There was no luckier man on the 2018 Golden Globes red carpet than actor Sterling K. Brown. 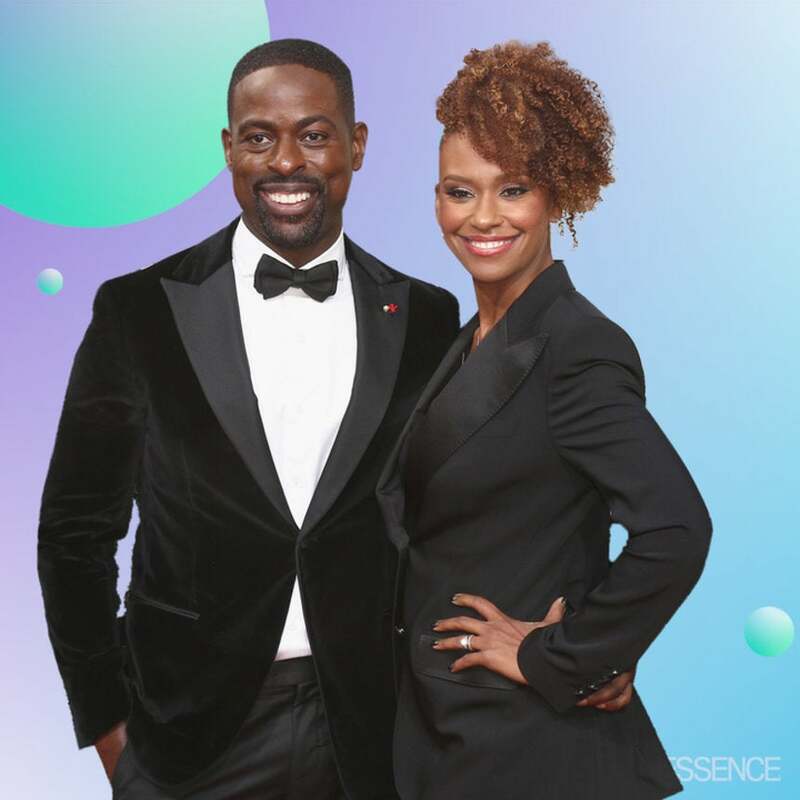 Not only did the This Is Us star and nominee walk the red carpet with his gorgeous wife, fellow actress Ryan Michelle Bathe, but he also recieved a double kiss from two very special ladies in his life. Brown’s fictional better-half, actress Susan Kelechi Watson, who stars as Beth Pearson on the hit NBC series, joined in the fun too, and the moment was super cute.. While receiving a kiss from each woman on both cheeks, Brown couldn’t help but smirk. He cleverly captioned the boomerang, “Wives,” alongside a winking emoji. Each week on the award-winning show, now in its second season, the spotlight shines on Black love as told through watching Beth and Randall’s beautiful marriage. This super adorable moment has us ready and waiting for the show to return from its winter break on Tuesday night at 9 p.m. on NBC!